Awarded to the organisation with 50 or fewer employees that demonstrated an increased level of success over the last completed business year. Awarded to the supplier who has demonstrated exceptional service over the last business year. 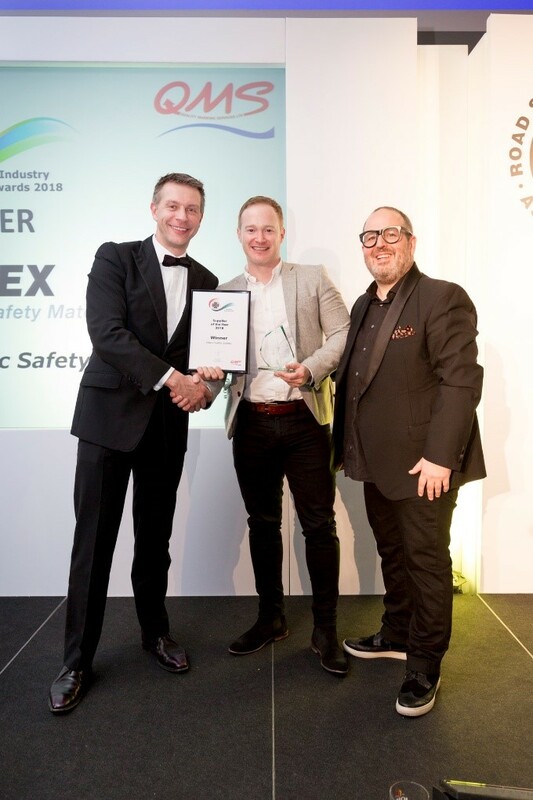 Dominic Haynes, group marketing manager, HITEX said: 'We are committed to research and development programmes that deliver innovative road surfacing, road marking and road repair solutions that offer unrivalled efficiencies and quality. Awarded to the organisation that has best demonstrated health, safety and welfare, measured against RSMA best practice. 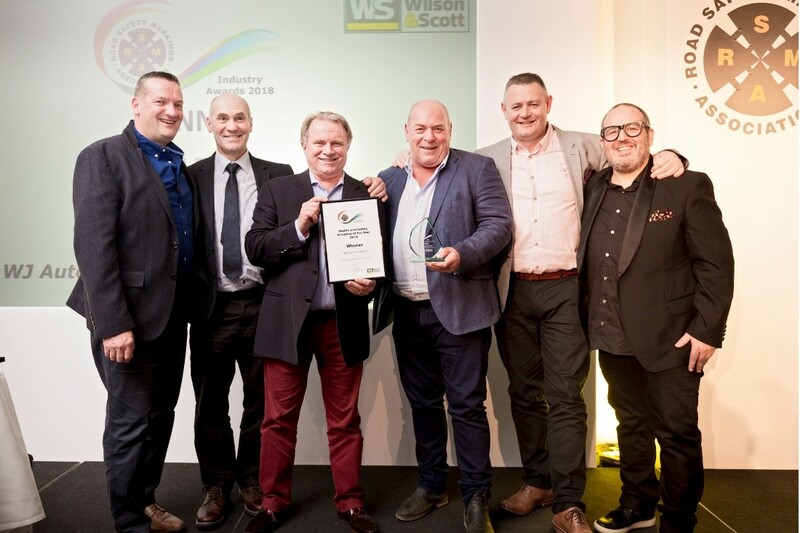 Andy Stubbs, managing director, WJ South said: ’We’re thrilled with this award. Prior to the introduction of the WJ Automatic Bag Loading Conveyor System (ABLCS) an operative would have been required to load up to 500 x 20kg bags of material per shift into the pre-heaters. This involved carrying the bags for perhaps the full length of the truck, climbing three steps and lifting the bags above head height to load into the boiler. 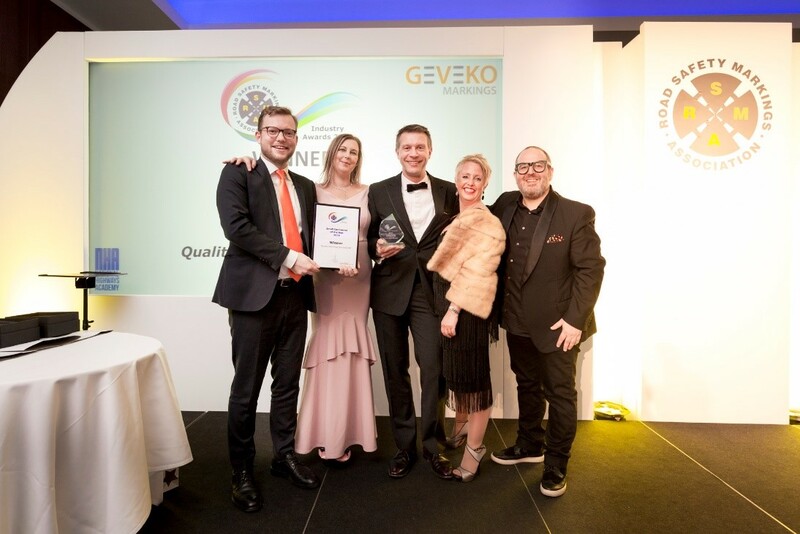 Awarded to the organisation that has demonstrated the most innovative approach to either a specific roadmarking project or their business as a whole. Mr McInroy said: 'Taking an innovative approach to support contractors, WJ Products has collaborated with a European manufacturer to develop a unique capability. The collaboration has resulted in the introduction of the WJ Robotic Pre-Marker, which has been developed to replace manual pre-marking. Embracing autonomy and utilising GPS technology, this system has already been used to great effect on motorways and has significantly improved risk management for both personnel and plant, in addition to reducing the engineering time involved and as a result, cost. 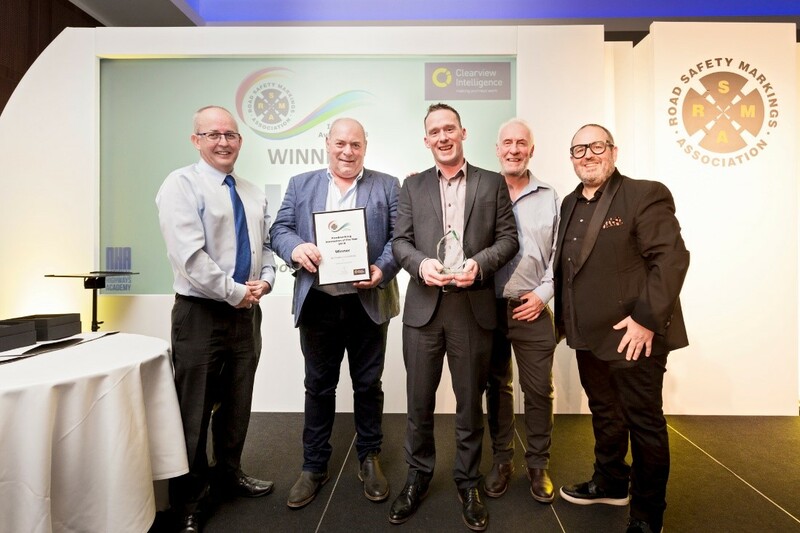 Garry Duncan, director, WJ Products said: 'We’re very pleased to win the roadmarking innovation award. WJ’s core values are safety, innovation, collaboration and delivery. These core values influence all our decisions and we consistently endeavour to embody them into our business. Based on risk analysis and management, WJ has been exploring automation for many of our traditional processes with the objective of achieving more efficiency while delivering continuous safety improvements.